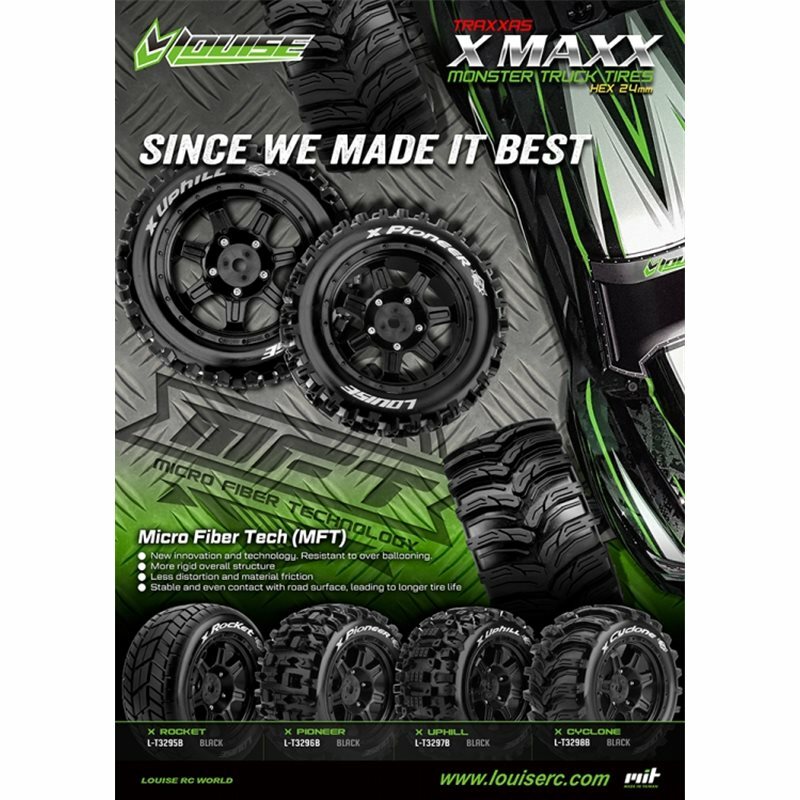 Truck tires for the high performance Traxxas X-MAXX. 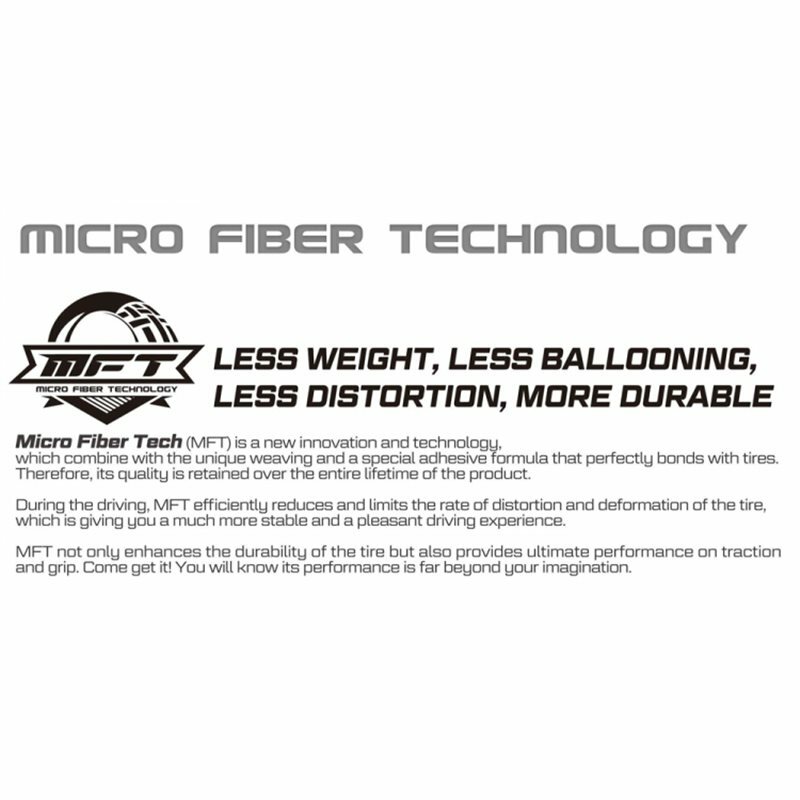 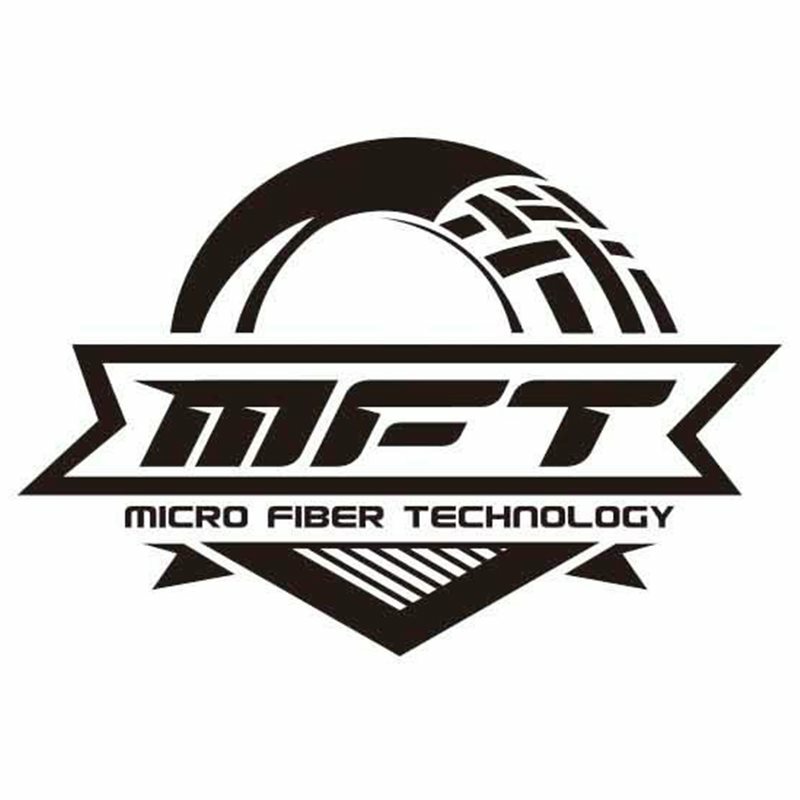 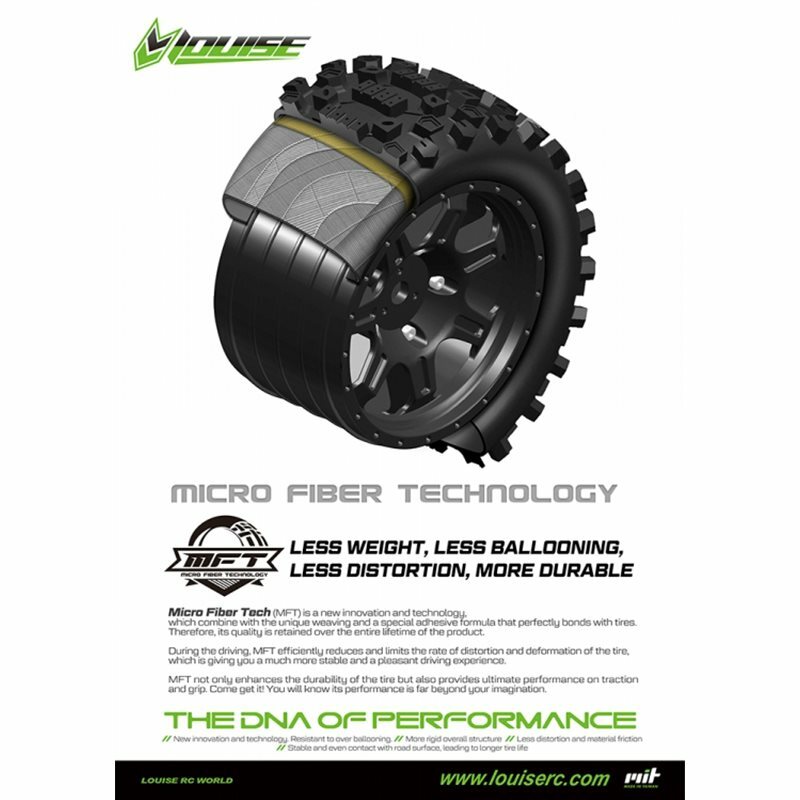 The new X-PIONEER tire has the new incorporated MFT technology that is engineered to limit tire expansion (normally refered to as "balooning"). They are mounted on a new very sturdy black nylon 7-spoke wheels with a X-Maxx specific 24 mm hex. 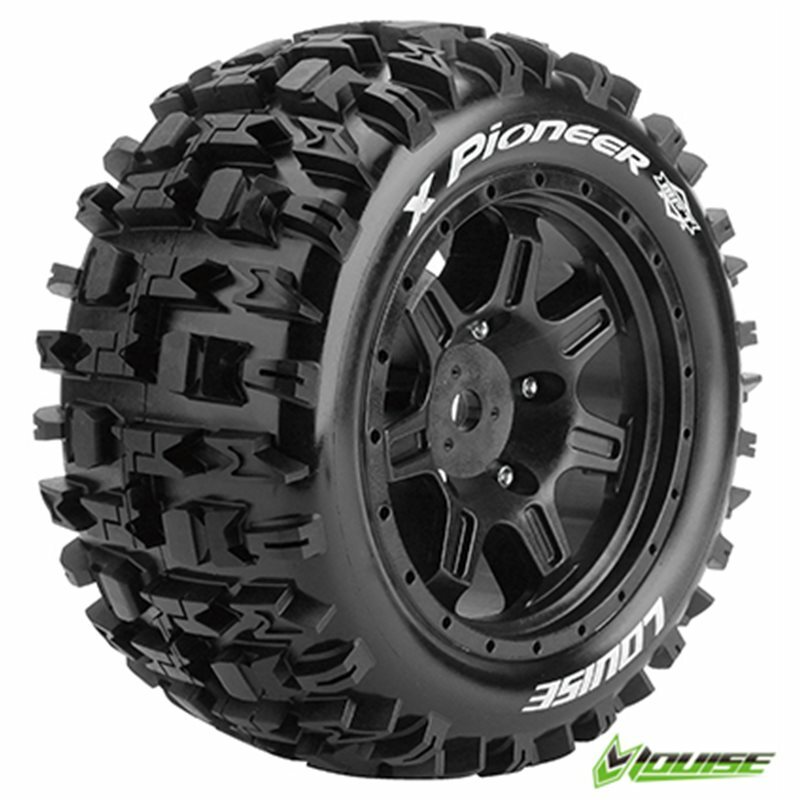 The X-PIONEER tire is a good allround tire for most rough surfaces!